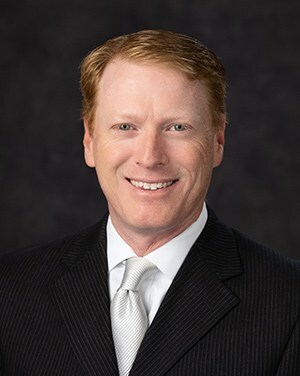 Mr. Wilson is a Board Certified Civil Trial Lawyer. Only 1% of all Florida attorneys are Board Certified in Civil Trial Law. This accomplishment represents the highest level of expertise and specialization recognized by the Florida Bar in the area of Civil Trial Law. Mr. Wilson is also an AV Preeminent rated lawyer who has been practicing in both the private and public sectors since 1996. In 2018, Mr. Wilson and his colleagues opened Wilson Reeder & Zudar (“WRZ”) with an eye towards helping homeowners and individuals whose homes or lives have been affected by builders, insurance companies and/or other negligent individuals. Prior to establishing WRZ, Mr. Wilson, Mr. Reeder and Mr. Zudar comprised the construction defect arm of the law firm of Burnett Wilson Reeder. The three attorneys helped pioneer an area of law that had previously not existed – single family stucco defect litigation. The law in the field was completely undeveloped when Wilson, Reeder and Zudar began their work with BWR in 2015. Since that time, the attorneys have advanced the law for homeowners. Mr. Wilson handled numerous arbitrations and appeals and successfully argued two important cases in front of the appellate courts – Busch v. Lennar and Anderson v. Taylor Morrison. Between 2011 and 2015, Mr. Wilson worked at the largest sinkhole firm in the state (at the time). His focus there was almost exclusively on first party property insurance disputes. He tried numerous cases while there and obtained several large verdicts. Mr. Wilson also worked for eight years at a well-regarded Tampa law firm focusing his practice primarily on the defense of auto accident, premises liability and complex civil liability claims. Mr. Wilson has prepared several appellate briefs in both State and Federal Court and has argued before the Eleventh Circuit Court of Appeals. Mr. Wilson has tried nearly 100 cases in both state and federal courts of Florida throughout his career. From 1996-2003, Mr. Wilson was a prosecutor and spent several years on the DUI Manslaughter Squad. He has been recognized by Remove Intoxicated Drivers (RID) for his service to the community. Anderson v. Taylor Morrison of Florida, — So. 3d –, 2017 WL 2374404 (Fla. 2d DCA 2017); Busch v. Lennar Homes, LLC, 219 So. 3d 93 (Fla. 5th DCA 2017); Lumpuy v. Scottsdale, 580 Fed. Appx. 807 (11th Cir. 2014); Douglas v. United States, 796 F. Supp. 2d 1354 (M.D. Fla. 2011); Surrett v. First Liberty Ins. Co., 2011 WL 3879515 (M.D. Fla. 2011); Cook v. First Liberty Ins. Corp., 2011 WL 5834743 (M.D. Fla. 2011); Niesen v. City of Clearwater, 2009 WL 1046122 (M.D. Fla. 2009); Bevan v. Durling, et. al., 243 Fed. Appx. 458 (M.D. Fla. 2007); Fisher v. Ellegood, 238 Fed. Appx. 428 (M.D. Fla. 2006); Coffin v. Steube, et. al., 2006 WL 1169696 (M.D. Fla. 2006); Fitch v. Scott, 2005 WL 1925028 (M.D. Fla. 2005); Baugh v. State, 961 So. 2d 198 (Fla. 2007) (prosecutor on case).